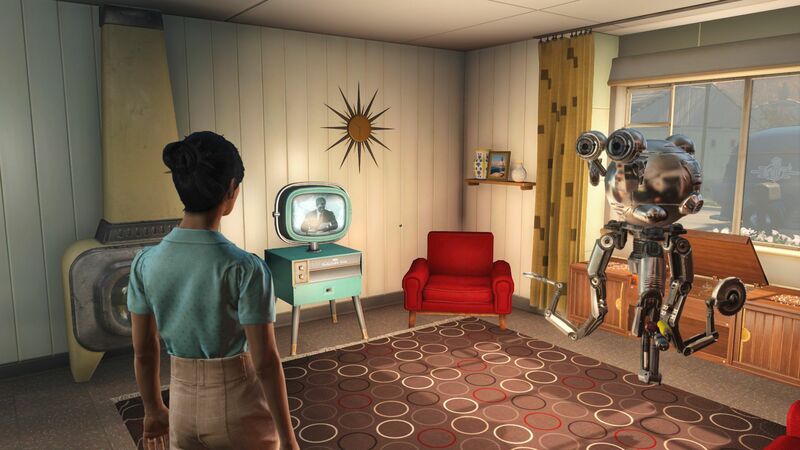 We wouldn't exactly call Fallout 4 a "visual treat". Aside from the sheer range and the well-designed (although moderately animated) characters, the engine seems like an relic from a bygone era. Undefined textures here, lackluster lighting and effects there: it takes just a few minutes before it becomes clear that the title can't measure up to other examples of the genre - no matter if it's Dragon Age Inquisition, which is based on the Frostbite 3 engine (familiar from Battlefield 4) or the extremely polished The Witcher 3. 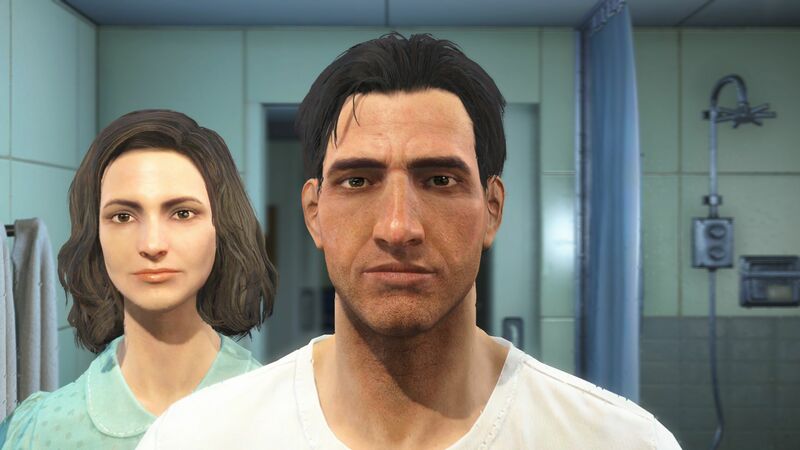 On the other hand, Fallout 4 is clearly a game where looks matter less and less the longer you play it. Just like the predecessor from 2008, the title offers a fascinating world with hundreds of characters, tasks and surprises. 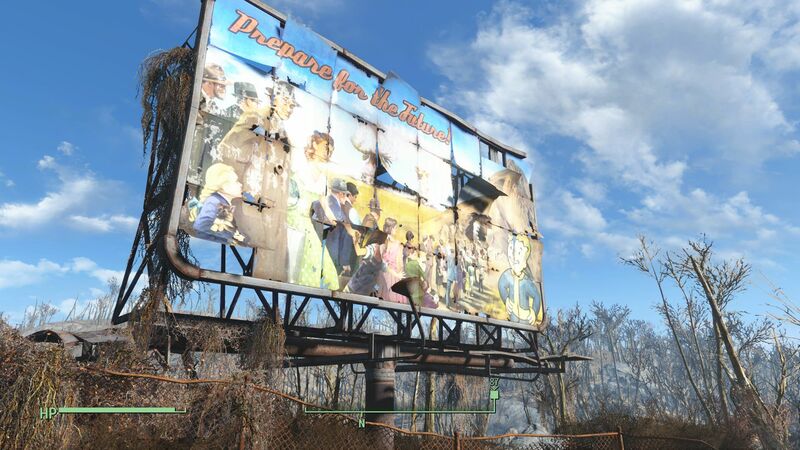 Since the Fallout-universe is a rather strange one in the first place, even bugs like flickering objects or other glitches don't take away much from the game - on the contrary: they bring a few smiles to the face instead. 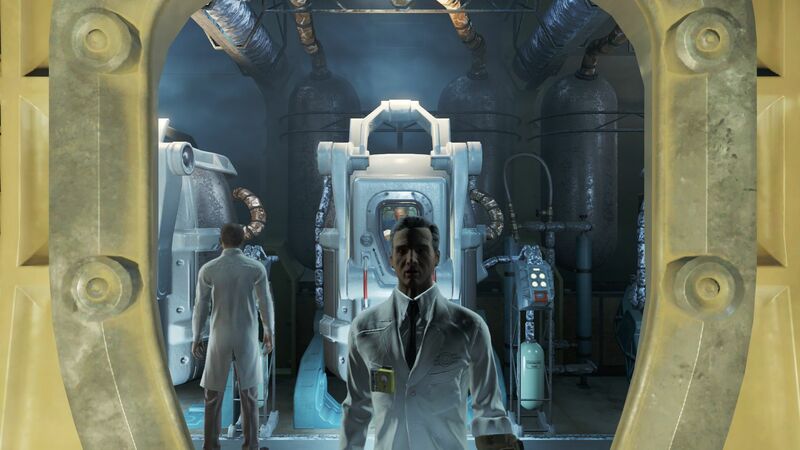 Nonetheless: we would have liked it had the developers of the PC-version fine-tuned the game some more. Especially the controls could use improvement in many situations: the mouse response is spongy, which - in combination with the not very constant frame rate - makes neither the ego nor the third-person view that enjoyable. Our main point of criticism concern the console-style menus with their long and convoluted entries. The weapons quick-select wheel and the assignment of the keys could also be a lot more intuitive. 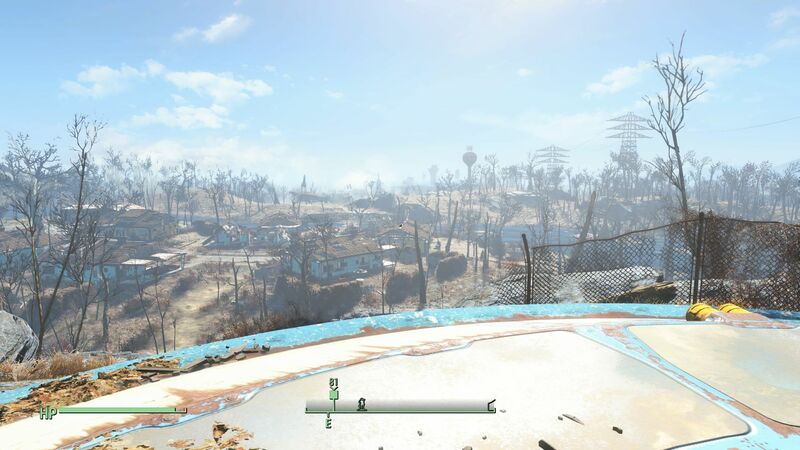 At least we didn't encounter any major bugs during the benchmark tests, although Fallout 4 crashed repeatedly after the start (especially in fullscreen-mode) on one of our Intel NUC PCs. Other test systems had no issues with the game, however. Rather unfortunate is the fact that most of the graphics options can't be changed from within the game. The menu is accessible through the launcher inside Steam. 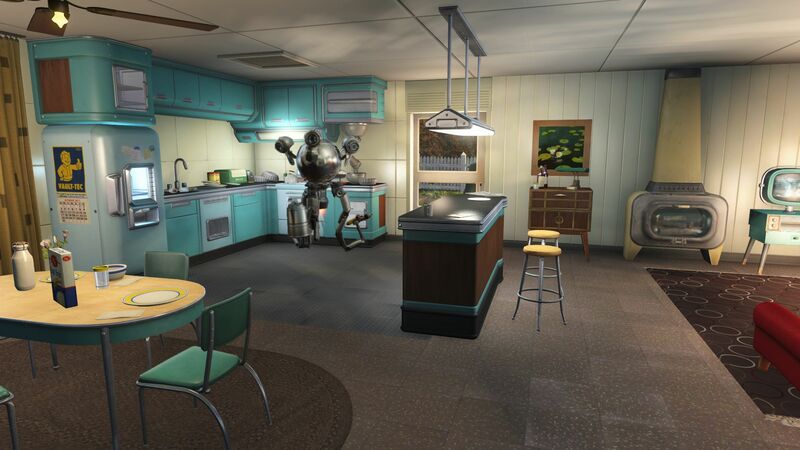 Both the arrangement as well as the range of functionality remind us of Skyrim. 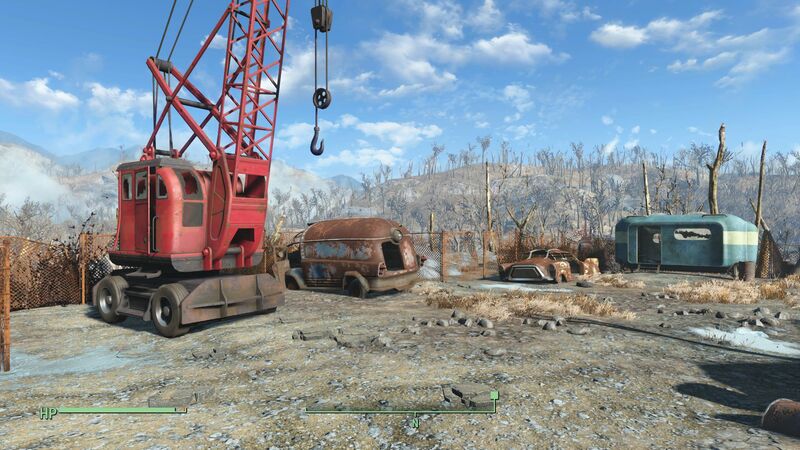 Fallout 4 has several presets as well, which change a lot of the settings in one go. The advanced menu allows the user to tailor the game to their individual needs. 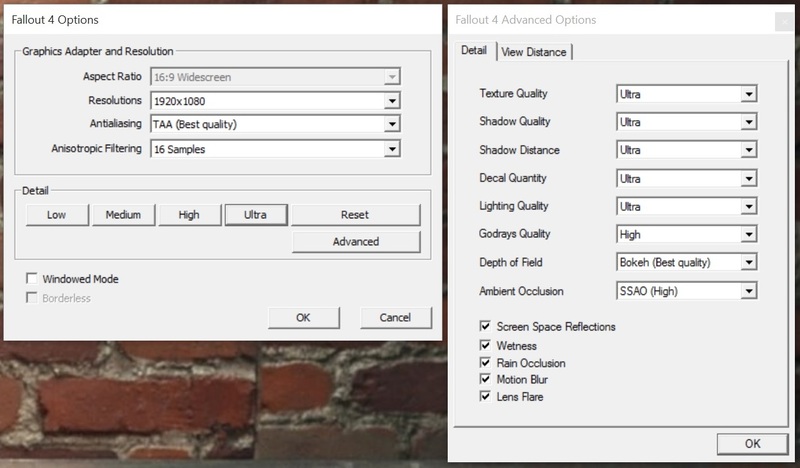 Some settings are on/off only (motion blur, lens flares,...), while others have several different levels to choose from. 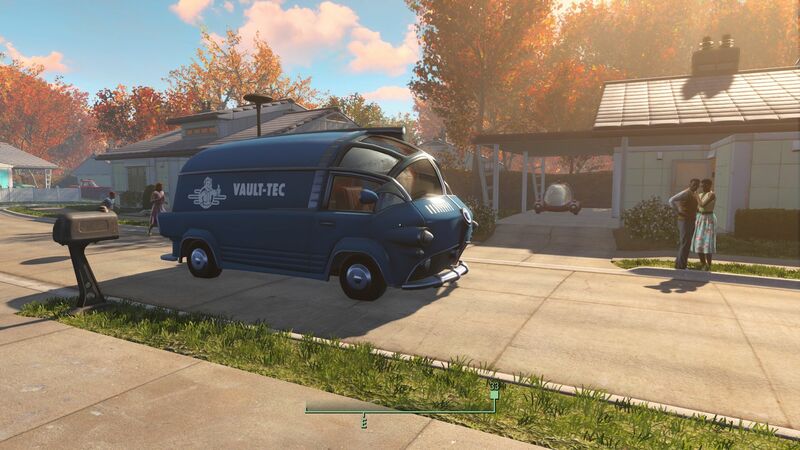 Somewhat of a nuisance is the fact that there's no real consistency, either: the shadow quality, for example, is implemented at the low setting, whereas textures are only available from medium quality settings on up. In our opinion, the presets are not quite optimal. Activating SSAO and FXAA at the lowest level is a questionable decision and so are the increments of the anisotropic filtering (Off @Low, 16x @Medium). 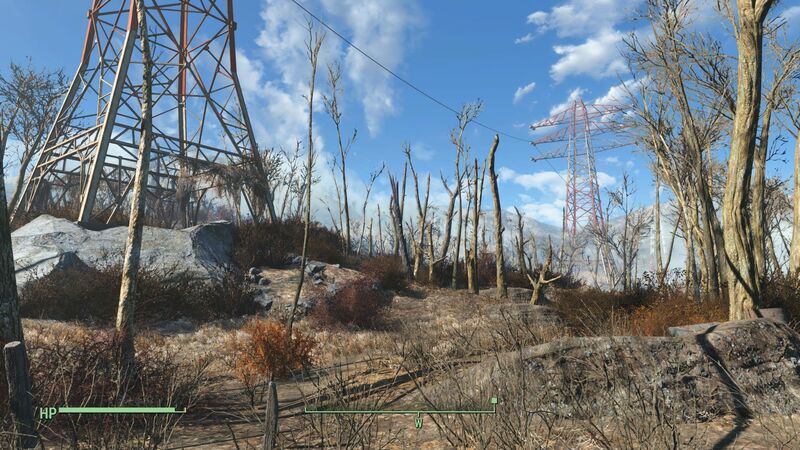 Speaking of anti-aliasing: compared to other games, Fallout 4 doesn't seem to be able to take advantage of FXAA. Not only do angled edges flicker, but thin objects (shrubs, leaves,...) are affected heavily as well. Due to the anti-aliasing issues in combination with block-like shadows, we can't really recommend the preset "low". 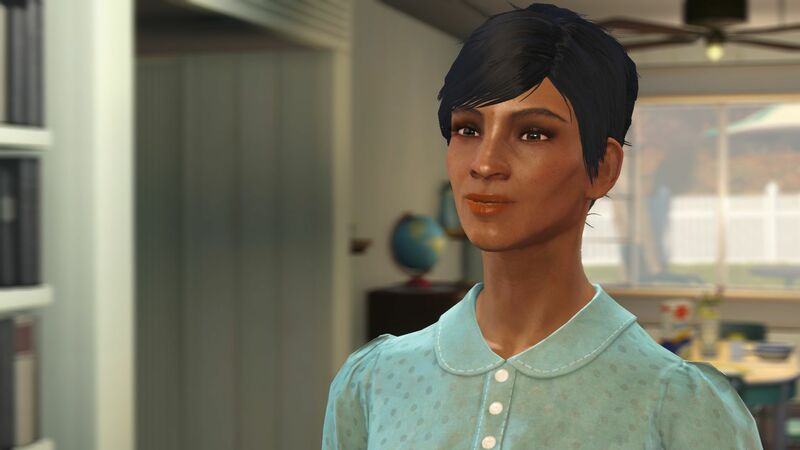 Fallout 4 starts to get more compelling at medium details with TAA, which is implemented surprisingly well. There's hardly a recognizable difference between the settings "high" and "ultra" - also as far as the benchmark results are concerned. The RPG's frame rate is limited by the monitor (60 Hz in most cases). 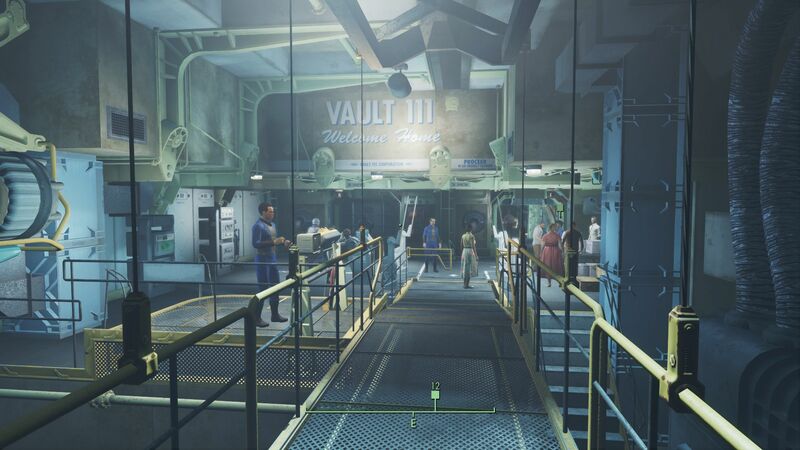 To remove the fps lock, the user has to edit the Fallout4Prefs.ini (located in C:UsersxyzDocumentsMy GamesFallout4) and change the iPresentInterval= from 1 to 0. Caution: changing the graphics options afterwards reactivates the fps lock. Owners who have notebooks with graphics switching shouldn't be surprised by the fact that Fallout 4 will always recommend the lowest preset regardless of the actual performance, since the launcher seems only capable of identifying the integrated GPU. The game itself opened - at least on Nvidia notebooks with the current driver (ForceWare 358.91) – always with the correct GPU, however. 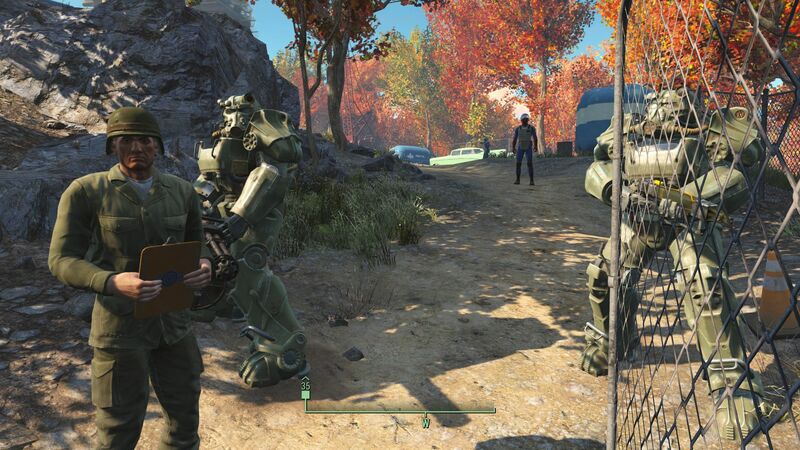 Online shops see a lot of complaints about the retail version of the game, since Bethesda supposedly ships a DVD containing 5 GB of data, which in turn necessitates a download of about 24 GB before Fallout 4 is complete. Because of the inconsistent performance, which changes depending on the surroundings as well as the view point, even powerful systems can get close to their limit. To get an idea of how high the demands on the hardware really are, we use a very taxing sequence right at the beginning of the game with lots of vegetation and NPCs. 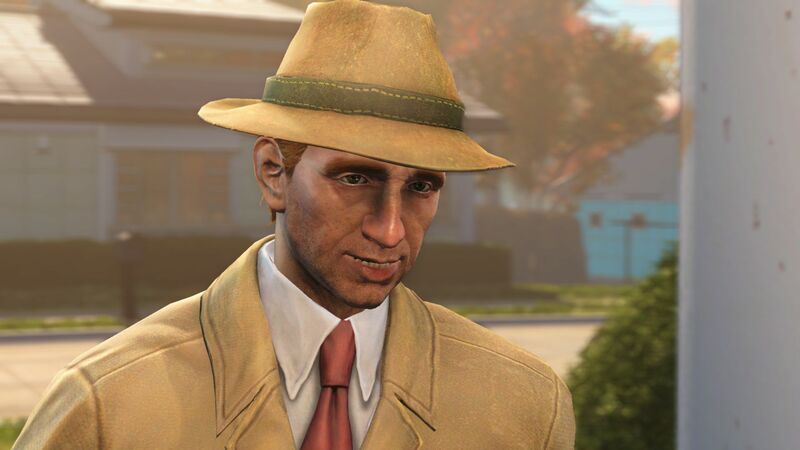 The main character (spoiler alert!) 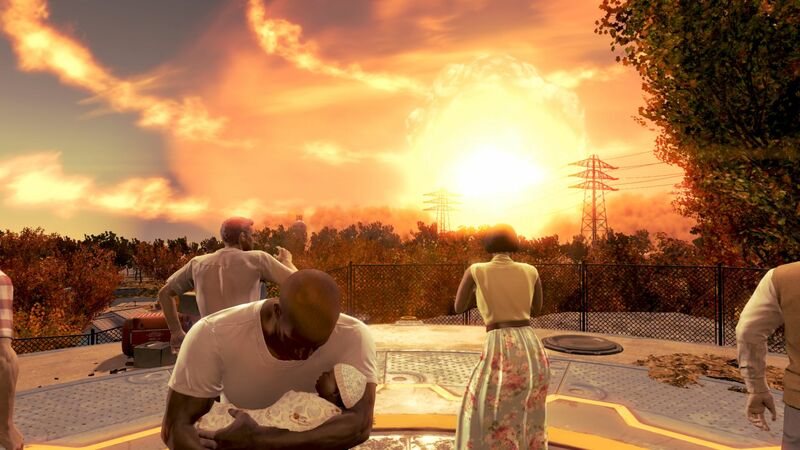 and his spouse have to evacuate their home on short notice and find refuge in a bomb shelter. 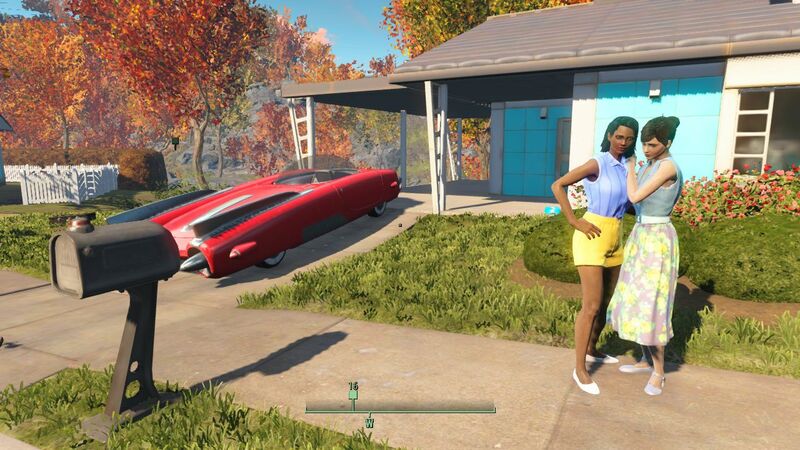 We use the tool Fraps and start recording as soon as the player character enters the front yard. The benchmark ends after about 40 seconds near a guarded fence. Since the environment is slightly less structured in the later sequences, it stands to reason that the resulting frame rate will be somewhat higher compared to our test sequence. Because of the undefined and not entirely smooth appearance we recommend at least 35 fps during the benchmark. A suggestion: those who want to eek out the last bit of performance can gain a few fps by avoiding the third-person perspective. 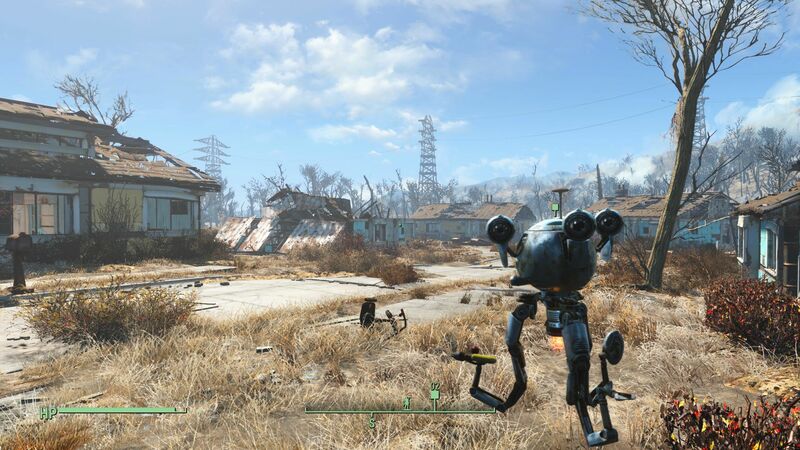 To be able to play Fallout 4 at all, a medium-level GPU is required. Entry-level solutions like the HD Graphics 4600 or the 5500 are not powerful enough even at minimum details and a resolution of 1280 x 720 pixels. Older allrounder-GPUs like the GeForce GT 740M and GT 750M are pushed to their limits even at the low preset. Notebook users who have one of these GPUs should manually adjust (lower) the graphics settings and deactivate FXAA as well as SSAO. For normal details and a resolution of 1366 x 768 we recommend an upper middle-class GPU (example: GTX 850M). 1920 x 1080 pixels and the high preset are only possible with a true gaming laptop. 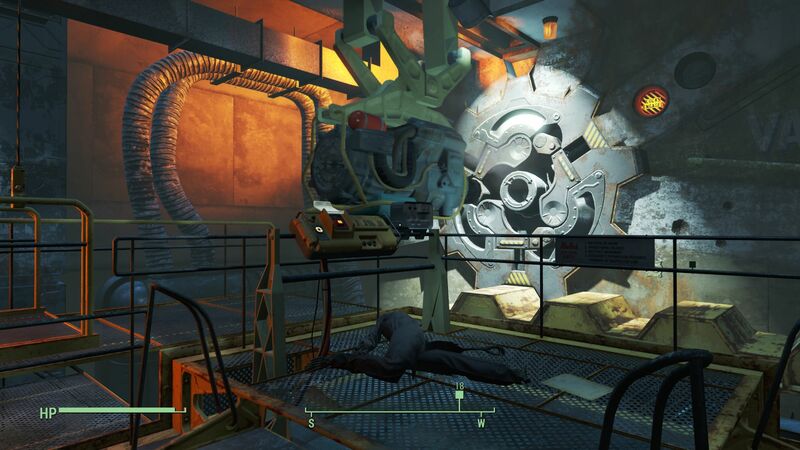 From the GeForce GTX 870M on up, it's possible to reach average frame rates of above 35 fps. Maximum settings and Full-HD meanwhile require a GTX 880M or GTX 970M. A resolution of 3840 x 2160 pixels is too much for every single notebook GPU out there. 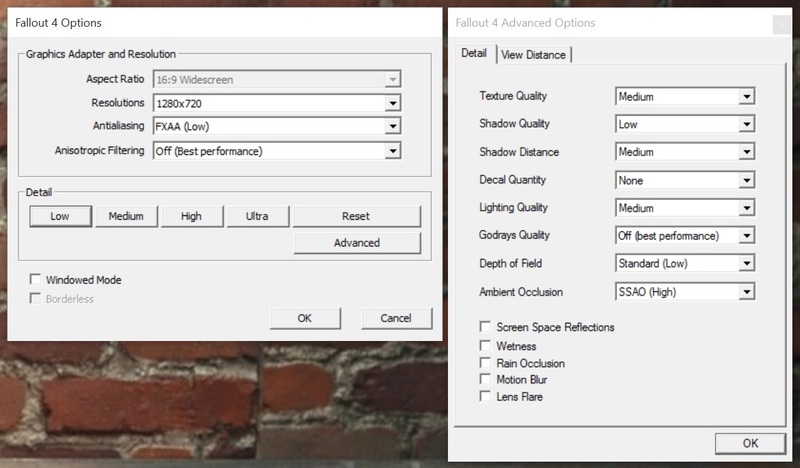 Even the desktop graphics card GTX 980 manages only 34 fps at high details. Just like Call of Duty: Black Ops 3, this setting would require a GTX 980 Ti or two GTX-980M in SLI-mode. 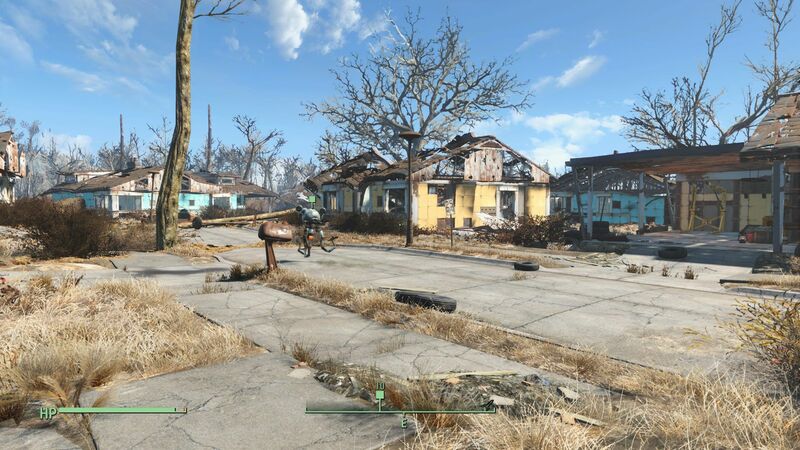 Fallout 4 doesn't tax the processor too much. During all our tests the CPU was only a limiting factor - if at all - with the settings on low. Our desktop utlize CPUs/APUs from Intel and AMD, SSDs from Micron, Intel and Samsung, motherboards from Intel and Asus as well as GPUs from Nvidia adn AMD. Our 4K display is the Asus PB287Q. 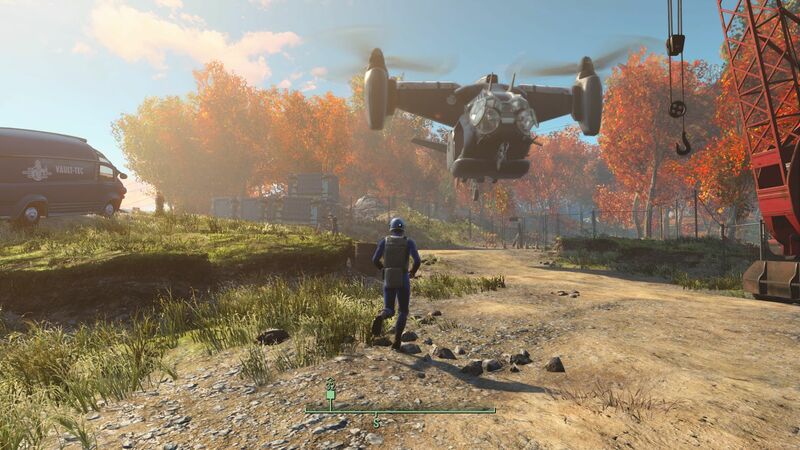 We used the following GPU drivers: Nvidia 358.91, AMD 15.11 Beta, Intel 20.19.15.4300 (Win 10) and Intel 10.18.14.4294 (Win 7), respectively.